This is my 2nd Post today! For Dies R Us Challenge #76, click here! Today, I will be sharing a brand new image with you from July's new release. The Little Blue Button Stamps Shop has released some amazing digital stamps for this new release as always and I am super excited to share with you what I created using this adorable digital stamp called, "Strawberry Cupcake". My image was printed on GP Cardstock. I colored the image using my Copic markers and when finished, I took my Pilot envelope writer and outlined the entire image. I also added some little faces to two of the cherries and added in a few white highlights. 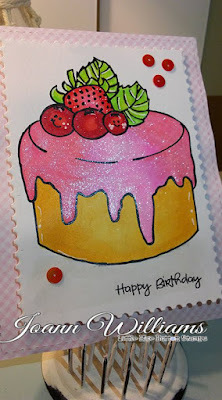 Used some Spectrum Noir Clear sparkle pen over the icing and fruits. The sentiment is from a Stamps of Life stamp set & was stamped in black archival ink by ranger. 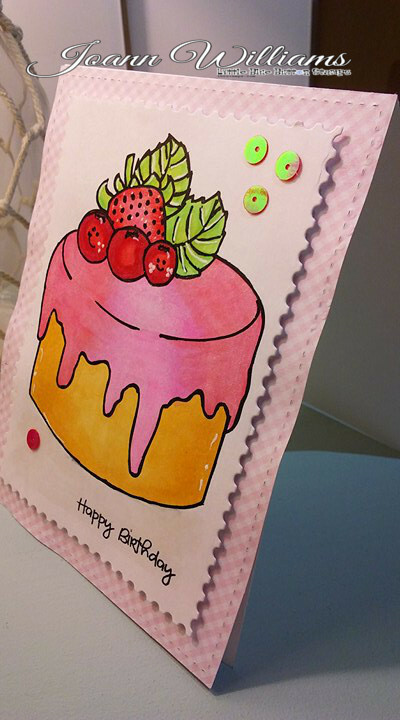 The panel was cut out using the 2nd largest die from the Peek a Frame die set from Mama Elephant. I popped up the panel on foam tape and adhered it to my card front which was cut from the largest die in the Peek a Frame set. 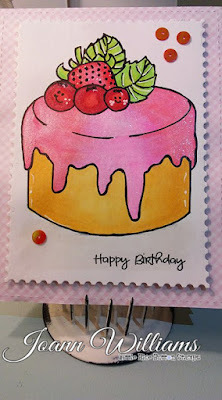 The pretty pink/white gingham paper is from the Paper Studio by Hobby Lobby from the Ice cream parlor paper pad. The entire panel was adhered to a white card base. To finish off the card, I added in a few sequins. Here are a few more photos. 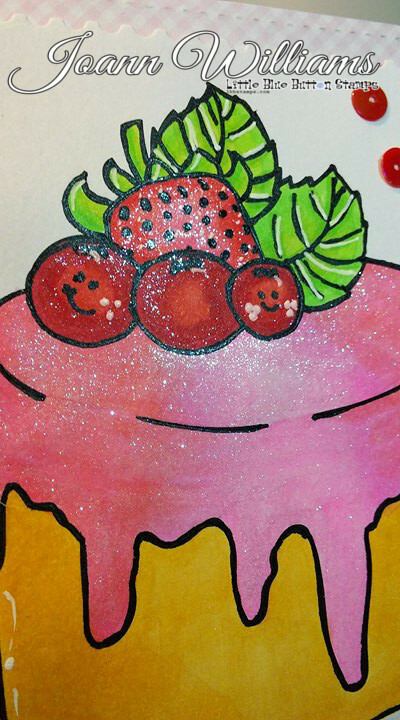 Well I hope you enjoyed my delicious birthday card showing off this adorable "Strawberry Cupcake" image! Please remember to head on over to the LBBS Blog to check out the awesome projects that my design team sisters have created for you using July's New Release. so sweet! love pink cake! 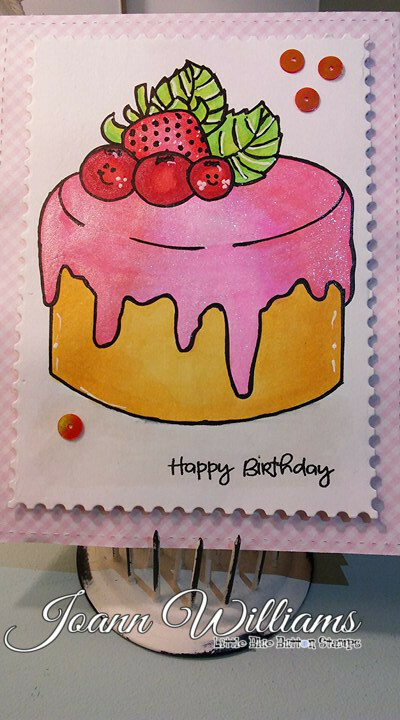 I love cupcakes so I absolutely love this one too!Super sweet my friend! !Love the pretty shimmer and coloring! 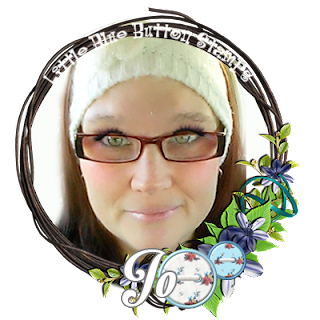 Such a cute card, Jo! I love the smiley faces on the cherries! Have a wonderful day!